So there's ramen, and then there's ramen, and then there's ramen-not-ramen. Throughout this eating endeavor, I've constantly been having to think about what consitutes ramen and a ramen shop, and where to draw the lines in cataloging the necessarily floating and ragged boundaries. At the beginning, I clearly included tantanmen (a Japanese preparation of Sichuanese dandanmian) as subsumed under the signifier of "ramen", and I've had any number of bowls of delicious tantanmen since. But what if the shop in question serves a bowl of noodles in which the Japanized Chinese food has been decidedly re-Sinified? I worried about questions like this for a while, and then I had an epiphany - screw it and eat the ding dang dan dan noodles! The particular shop in question is Chinmaya, a big national chain and prime purveyor of tantanmen and mabo tofu, two Sichuanese staples turned beloved Japanese dishes. The godfather of Japanese-style Sichuanese food is Chen Jianmin, better known by his Japanese name Chin Kenmin. 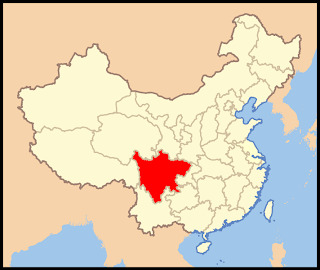 Chen/Chin grew up in Sichuan in the 20s and 30s, cooking in various restaurants before hightailing to Taipei then Hong Kong during the Chinese Civil War. Chin arrived in Tokyo in 1952 on a tourist visa, married a Japanese woman, and opened one of the first Sichuanese restaurants in the country, remaking spicy staples to fit Japanese pallettes. Chin takes credit for creating such dishes as "Shrimp with Chili Sauce" (Ebi Chili), where shrimp are stir fried in spicy paste mixed with sweet tomato ketchup, Twice-Cooked pork with Cabbage, as well as the milder Japanese versions of dishes like mapo doufu and dandanmian. In the Meiji period, restaurants in the Ginza district of Tokyo developed what is now known as yôshoku, "Western-style" dishes like rice omlettes, Japanese curry, and pork cutlets that would scarcely be recognized in the West; Chin did something similar for Sichuanese food in Japan. 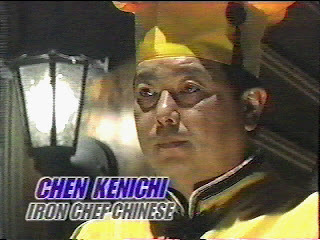 Chin is also known overseas as the father of Chen Ken'ichi, who is the Iron Chef for Chinese cooking. They're kind of like the first family of Chinese food in Japan, and there was even a TV drama about them! So, it's natural that one might assume that Chinmaya (House of Chin's Spice) is some how connected to the Chin dynasty. But as far as I can tell, the relationship is in name only, with Chinmaya going on tangential name recognition to sell their own Sichuanese dishes. There are so many varieties that I couldn't keep all the names straight, but the two main ingredients are always wheat flour and tons and tons of chilis, as well as a healthy dash of peanuts and sesame, as well as a small amount of green vegetables. So how did Chinmaya's noodles stack (slurp?) up? Though the shop feels like a generic, sterile, almost fast food-like establishment, Chinmaya goes out of its way to let you know that yes, they are rocking it China-style. There's a healty selection of tableside spices, maps of Sichuan province, Chinese quotes related to the concept of deliciousness, and so on and so forth. Unlike typical Japanese tantanmen which are often simply ramen noodles in a sweet and spicy sesame soup, Chinmaya's version are much thinner and firmer, very similar to Hakata-style noodles, which is much more in line with the Sichuanese style. Sichuanese dandanmian are often very light on the soup, usually coming in a small bowl to be eaten as a carbohydrate alongside a meal, say instead of rice, or as a quick snack. But in Japan, they've been recreated in the ramen mold with a whole bowl of soup. I chose to skip on the ground pork topping, but went all out on the peppers, choosing the spiciest possible preparation. Without the meat, the only things in the bowl are the soup, noodles, and a few sprigs of stewed greens, but if the soup is good enough, none of the rest should matter right? Pow! All the spices hit, firing on full cylinders, peppery, firey, peanuty, sesame-y, and even just a wee bit numbing. Chinmaya's tantanmen may still be a step removed from their Chinese progenitors, but they are definitely the closest of any bowl I've had in Tokyo. Just a tad gritty but not viscous, Chinmaya's broth is rich and complex, spicy while not atomic, and sweet but nowhere near cloying, which can be a problem with Japanese Chinese food (remember the shrimp with ketchup?) My only complaint is a lack of the numbing "ma" spice, which can be remedied by shaking on extra sanshô (mountain pepper), the closest Japanese analogue to the Chinese flower pepper. The noodles are firm, stiff, and cling together, just like in a good bowl of Kyushu-style ramen, which is a plus as far as I'm concerned. The more I ate, the more I was impressed by how excellent the stuff was, especially for a big national chain. Noodles and mabo tofu are definitely THE centerpieces of the menu at Chinmaya, but there's also a decent sized selection of Chinese dishes to snack on - "thousand year old eggs" pickled in lye, stewed pork, and of course, shrimp with mayonaise, chili sauce, and ketchup. Chinmaya was one of the most pleasant surprises I've had in a long time. I didn't expect it to be nearly as delicious as it was, and I was glad to be wrong. It's great to know there's almost always a branch nearby to scratch the Sichuanese itch - go give it a shot! Kenichi has a shop in Tachikawa, in the Grandua department store building's "China Town", which is just a food floor devoted to Chinese. The shop serves nothing but mabodofu and anindofu. It's awesome, by the way. Nate, I just wanted to tell you that this is one of my favorite blogs ever. THANK YOU, and NEVER STOP. I always wondered what the chain in Tokyo was like. They just opened one in LA earlier this year but I don't think it's nearly as good as you say this one is. Hey Brian, someone should make an anindofu ramen for dessert. That might be interesting.